The decision by the British press not to publish the naked pictures of Prince Harry is a sign that the Leveson Inquiry has resulted in "neutered newspapers", a former News of the World executive editor has said. He said newspapers were now "terrified of their own shadow" and would not print the pictures even though it was in the public interest. Mr Wallis told BBC2's Newsnight: "The situation is fun, it's a good, classic newspaper situation, the problem is in this post-Leveson era where newspapers are simply terrified of their own shadow, they daren't do things that most of the country, if they saw it in the newspaper, would think 'that's a bit of a laugh'. There would be no harm done and they would not think any worse of either the paper or of Prince Harry." The public interest defence was "pretty straightforward", he added. "He is third in line to the throne, he's been on the world stage for week and weeks and weeks, he is supposedly surrounded by police security officers." The situation was "fine if you were my 27-year-old son, but this is the third in line to the throne". Former Sun editor Kelvin MacKenzie said it was a "fantastic" story: "Literally any journalist worth his salt, whether at one end of the market or the other, would have said 'thank you God'. 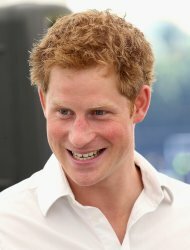 "It doesn't affect Prince Harry at all, because in a way he is a 28-year-old (sic) Army officer, he is single and he is cavorting with ladies who wish to be cavorted with. So where are the issues? There are no issues except one: Leveson." But broadcaster and alleged victim of phone hacking Vanessa Feltz told the programme: "If there is some kind of moral awakening then it's about damn time because there are too many people whose lives have been played fast and loose with for nothing more than a bit of titillation over your Frosties." The pictures of the prince were first published by US-based celebrity gossip website TMZ, before a host of other sites in America and across the world began carrying the images. They included Daily News America, Canada's CBC News, Indian-based Zee News and Hindustan times, Ireland's Entertainment.ie, CNN International and the Westminster gossip blog Guido Fawkes - Order Order. Meanwhile, Irish newspaper the Evening Herald published the naked picture on the front page of last night's edition.